As part of the 2016 hennemusic Rock News Awards, the site is counting down the Top 10 Rock News stories of the past year. 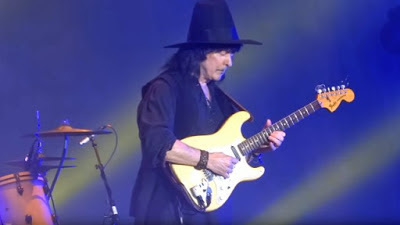 Ritchie Blackmore returned to the stage with a revamped Rainbow lineup in June to perform his first rock shows in two decades. The band made their 2016 debut at the Monsters Of Rock festivals in Loreley and Bietigheim-Bissingen, Germany on June 17 and 18 respectively. The guitarist was joined by Lords Of Black singer Ronnie Romero, Stratovarius keyboardist Jens Johansson, Blackmore’s Night drummer David Keith and bassist Bob Nouveau for the pair of rare rock shows. Check out the No. 3 hennemusic story of 2016 on RAINBOW here.